India and the US on Tuesday inked a pact on cybersecurity to intensify information exchange on threats to computers and networks and initiate joint work on technologies against cyber-attacks. A joint statement on the India-US strategic dialogue has announced the cybersecurity agreement among new initiative by the two countries. These initiatives also include a plan to develop a software platform to make available non-sensitive government data to the public and to award $3 million each year to entrepreneurial projects that commercialise technologies to improve health. A memorandum of understanding between the Indian and the American Computer Emergency Response Teams (CERT) is expected to lead to routine exchange of information on vulnerabilities and co-operation on cybersecurity technologies, Indian CERT officials said. "This comes at a time when cybersecurity-related incidents are increasing in number and becoming more and more sophisticated," said Gulshan Rai, director-general of the Indian CERT, a division of the ministry of communications and information technology. Rai said the MoU is expected to lead to greater exchange of information between Indian and US CERTs about known and emerging threats, specific vulnerabilities of computers and networks and open opportunities for joint technology development. The CERTs track and catalogue threats, advocate protective mechanisms, and respond to attacks on computer systems in the two countries. The latest monthly security bulletin from India’s CERT says 151 computer security-related incidents were reported during May 2011 alone, among which more than half involved “phishing” — an attack or an intrusion that involves some form of identity theft. Last year, unidentified hackers, believed to be based in China, had penetrated computers in sensitive Indian government offices, including the National Security Council secretariat, and stolen documents on missiles, and personal and financial data of Indian officials. India already has cybersecurity pacts, primarily for the exchange of information, with Japan and Korea and is planning to develop one with Finland, Rai told The Telegraph. 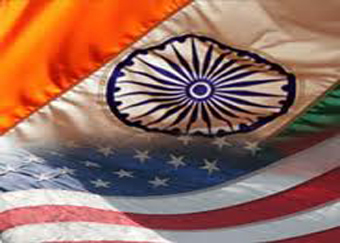 The cybersecurity pact followed consultations led by the Indian and the US National Security Councils on prospects for bilateral co-operation on cybersecurity issues, held on Monday, a joint statement on the India-US strategic dialogue said. The joint statement also said the Nasa has "reiterated its willingness to discuss potential co-operation with the Indian Space Research Organisation on human spaceflight". While the Nasa offer comes on the eve of the retirement of the US Space Shuttle, space experts believe Nasa has accumulated enormous expertise on human spaceflight — for instance, in the area of onboard life support systems — that could help India in its own long-term plans to develop a space capsule large enough to carry two astronauts into a low-earth orbit for a short mission. The open source software platform that India and the US plan to create is intended to help make available to the public all non-sensitive government information through a user-friendly website. It is expected to be patterned on the lines of America’s own government data website www.data.gov which began with 47 government data sets in May 2009, but has more than 392,000 data sets today. "We have all kinds of data there — data sets on infant car seats, airline statistics, hospitals," said Aneesh Chopra, the chief technology officer in the US, who is also assistant to US President Barack Obama. An Indian government official said India is preparing a policy initiative to get myriad government departments into making non-sensitive data — from education to health to public infrastructure — public through a so-called National Data Sharing Access Policy (NDSAP). The official who spoke on condition of anonymity said this NDSAP is yet to be approved by the Union Cabinet. Among other initiatives, the India-US science and technology endowment board established in 2009 has decided to award $3 million annually to projects proposed by entrepreneurs for commercialisation of technologies to improve health and empower citizens. The first call for proposals has already attracted more than 380 joint India-US proposals and the first set of awards will be announced in September this year.